One of the more aggressive roughtop belts on the market. 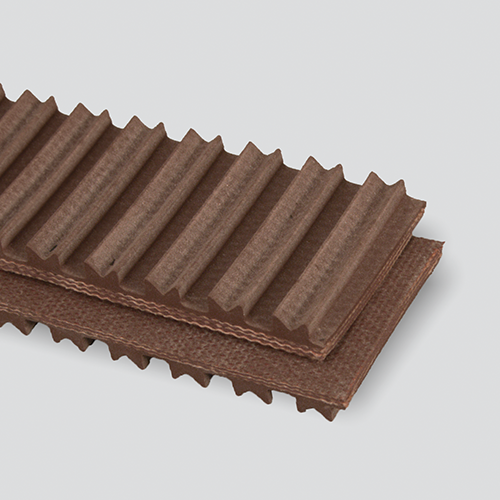 V-top can take corrugated packages up inclines as steep as 45°. For slick plastic tote applications this is a belt worth consideration. Excellent oil resistance.